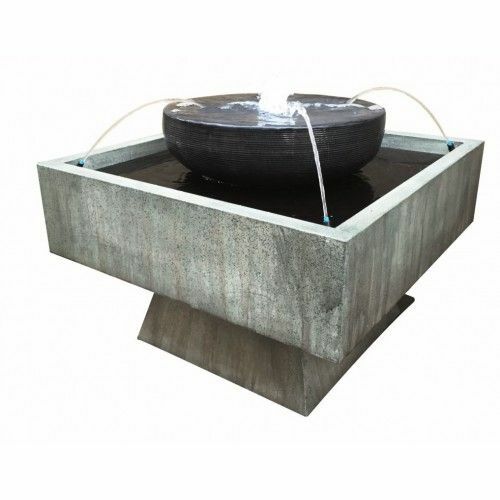 The Tranquil Water Jet fountain is a skilfully crafted zinc metal water feature. The four moving water jets provide a tranquil and relaxing atmosphere for you to enjoy your garden landscape. This stunning feature is also illuminated by cluster LED light, which highlights of the water as it cascades over this feature. Plug and play, just find the perfect spot for this water feature, fill with water and plug in.